It’s almost Fall – Time for a Seasonal Giveaway! 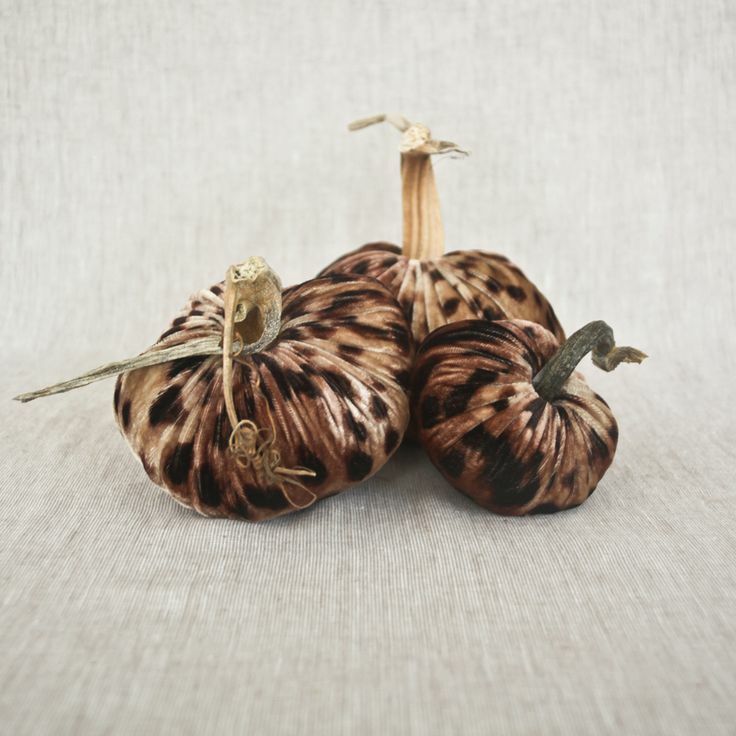 The lovely ladies at LoveFeast Shop – a new ::Surroundings:: sponsor – are offering this adorable trio of pumpkins in Ocelot velvet as a giveaway! natural, organic stem. The value is $98 and the timing could not be more perfect. Not your usual Halloween decor! LoveFeast Shop carries the full line of the exquisitely handmade Plush Pumpkin velvet products plus a whole lot more. From art and accessories, table top to draperies – they have a wide selection of romantic and whimsical items. In order to be entered, please visit LoveFeast Shop and select your favorite item on the site. Come back here and post in the comments (please note, I use Disqus). Please note that I have to have your email in order for you to win. US residents only, please. Drawing will take place on Friday, September 13th! Boo!